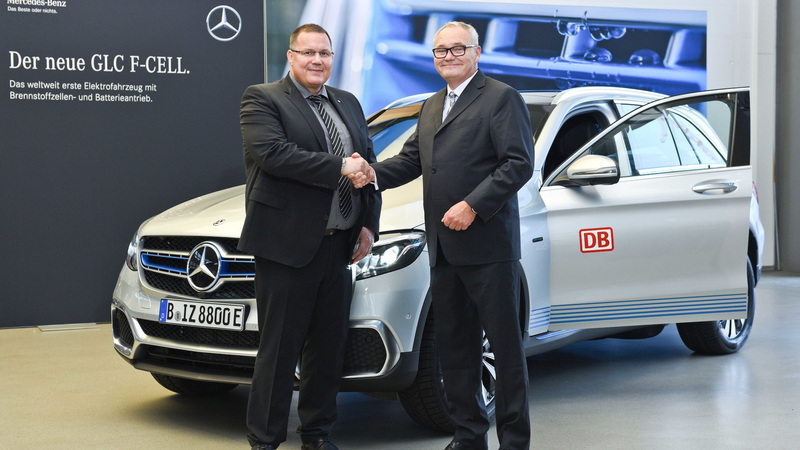 Mercedes-Benz has delivered the first examples of its hydrogen-electric GLC F-Cell SUVs to customers in Germany. Those initial owners include German railway operator, Deutsche Bahn. Other companies that will soon take delivery of the SUV include Air Liquide, Shell, Linde AG, and the cities of Stuttgart and Hamburg. 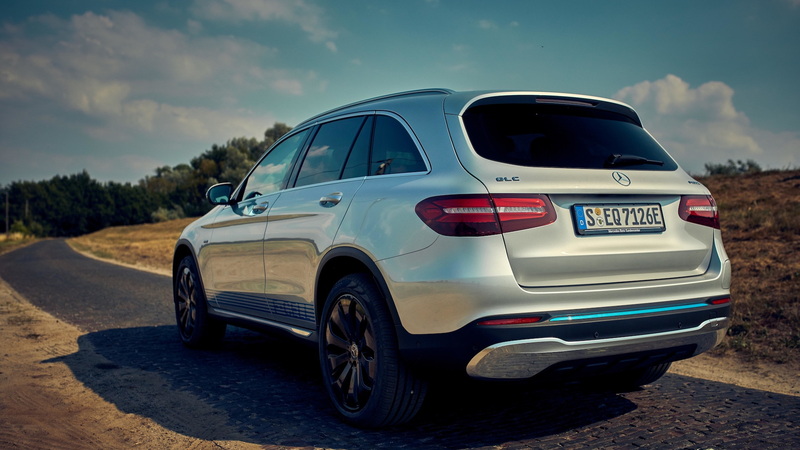 The GLC F-Cell marries a hydrogen fuel-cell powertrain to a plug-in hybrid system. In this case, the fuel cell takes over for the internal-combustion engine, while the plug-in hybrid powertrain still provides a backup. 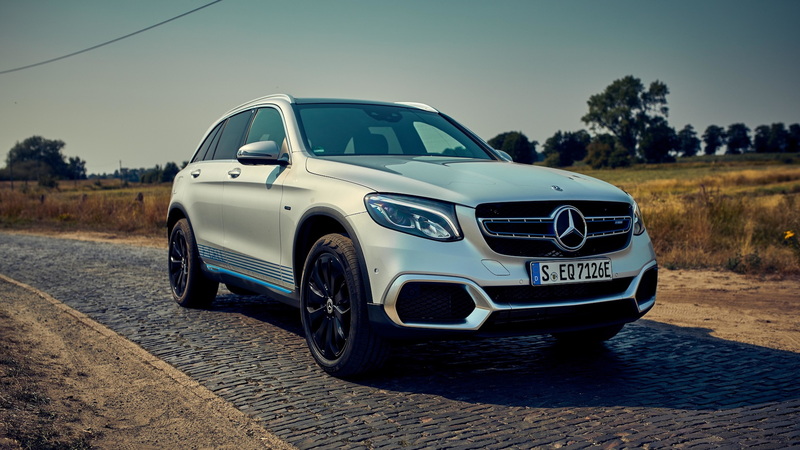 Mercedes-Benz said the SUV will go 270 miles on a tank of hydrogen (on the now-defunct New European Driving Cycle), while a 13.8-kilowatt-hour lithium-ion battery provides about 30 miles of extra range. Although the GLC F-Cell can operate solely on electric power from the battery, drivers won't go very far. On the topic of operating modes, the hybrid SUV features four of them. Hybrid combines the fuel cell and battery's power. The battery handles peak power, while the fuel cell runs during optimal times for efficiency. F-Cell mode runs only hydrogen and keeps the battery charged. 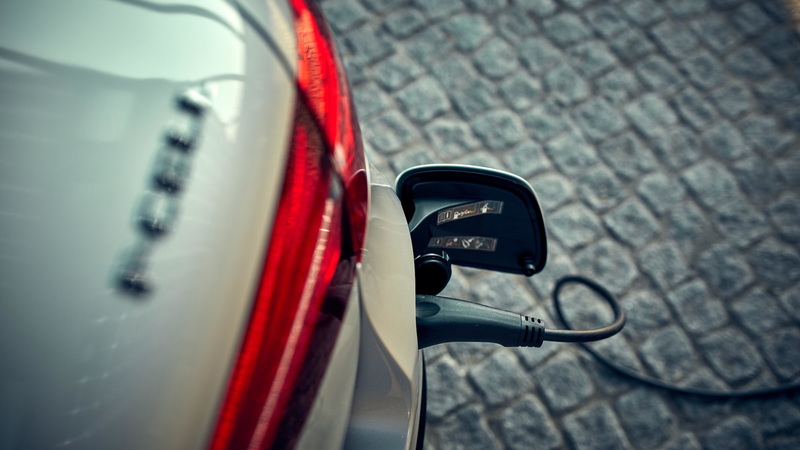 Battery runs the GLC F-Cell on pure electricity, and Charge prioritizes re-charging the onboard battery. 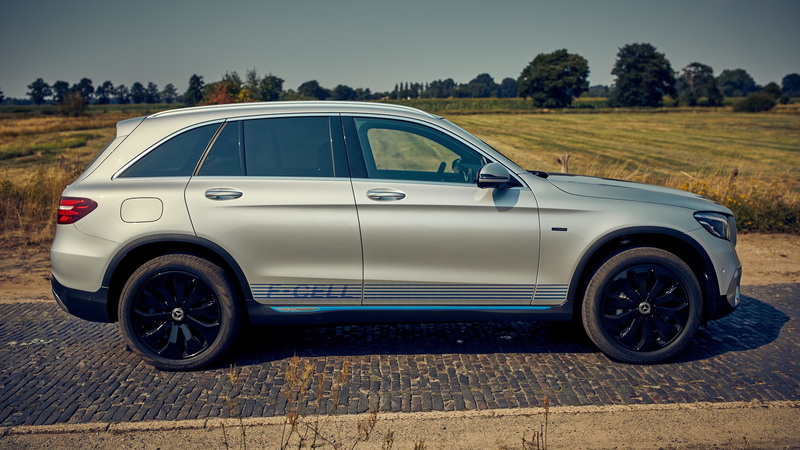 Since hydrogen fuel infrastructure remains in its infancy, Mercedes-Benz plans to only market the GLC F-Cell in markets with some established infrastructure. Those interested in the fuel-cell hybrid will have a chance to rent one in spring 2019. No, Mercedes will not actually sell the SUV, but rather offer it via "a full-service rental model." Maintenance and all repairs will be covered through the rental period. In the U.S., we should see the GLC F-Cell arrive in late 2019. It's unclear if customers will be able to purchase one, or if the brand will institute a similar rental period.